All other states have elective share provisions in their estate laws that prevent a testator from leaving a spouse out of her will. Spouses have a right to do something called “take against” a will in these states if it doesn’t leave them anything. A spouse can renounce the will in favor of receiving a portion of the deceased’s estate determined by law. The share a spouse can elect to take is up to half the estate in some states. If a divorcing testator dies before receiving a final decree, most states award the surviving spouse this elective share. Georgia has no such provision in its Official Code, so if you die while going through divorce proceedings or while you are separated, your spouse receives nothing more than a year’s support allowance, as long as you have not bequeathed him anything in your will. If your spouse is a beneficiary in your will and you neglect to update your will to reflect a divorce, Georgia’s Code treats your spouse as though she predeceased you. Once your divorce is final, any bequest you made to her reverts to your estate when you die for disbursement to your other beneficiaries. If you remarry your spouse after a divorce, any provisions you made for her in your will are automatically reinstated. 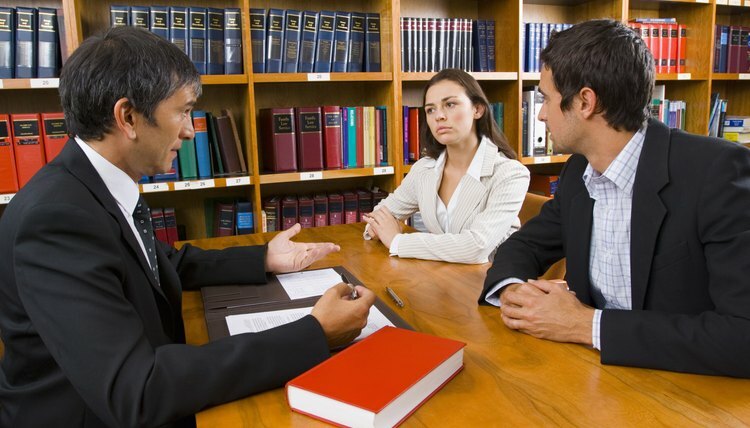 The exception is if you revoked or amended the will after your divorce. In that case, since Georgia allows the disinheritance of a spouse, she does not have a right to any of your estate unless you make a new will to include her. Wills cannot dictate the terms of Social Security benefits. If you are married for at least 10 years before you divorce, your spouse is entitled to collect survivors’ benefits under your Social Security record no matter what your will says. If he is 60 years of age or older, this does not affect the benefits your other survivors receive.